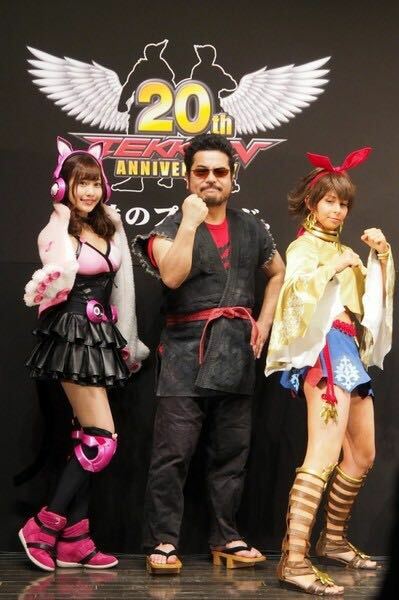 Yuriko Tiger is the official cosplayer for Bandai Namco (Tekken series). This title is unique, created by Bandai Namco Inc. and Katsuhiro Harada in 2014. 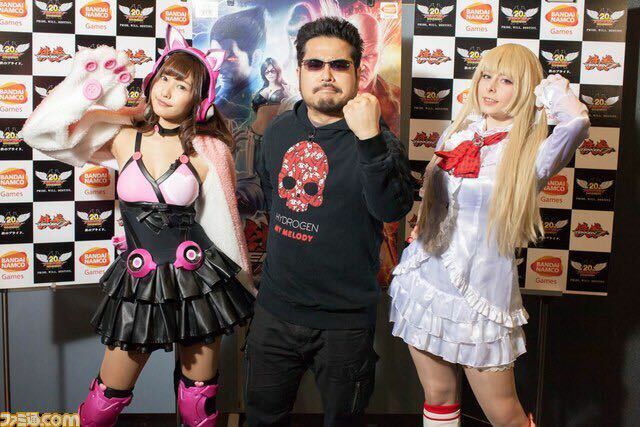 Yuriko started her collaboration with Bandai Namco in 2014, for the promotion of TEKKEN SLOT MACHINE. She cosplayed Lili and Xiayou, did an inteview and a brief exhibition. 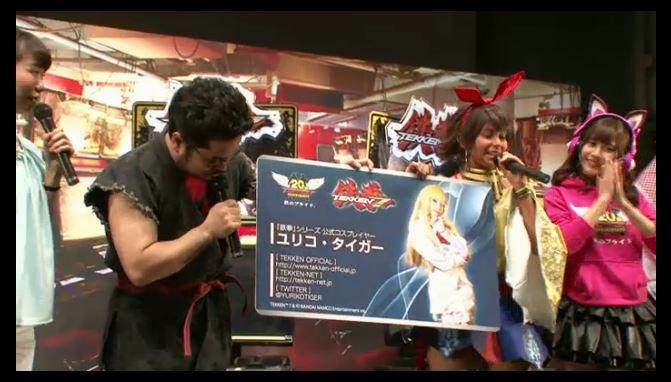 Afterwords, Bandai’s Advertising Manager got in touch with Yuriko’s agency in order to meet her, and later hired her for the one year long promotion of Tekken 7 for console; after cosplaying Josie Rizal, they gave her the title of the Official Cosplayer. Even if Yuriko and Lucky Chloe are alike, she’s been cosplayed by a a gravure idol named Hinako, hired at the time as a PR girl. Yuriko’s not part of the Tekken Girls due to her numerous time-taking jobs. Her Alisa’s costume has been sponsorized by Bandai Namco and it costs over 3000 dollars. Yuriko as Jozie Rizal on stage with Harada giving her the title of "Official Cosplayer"